World Politics Review founder Hampton Stephens, March 25, 2015 (Photo by World Politics Review). In this week’s Trend Lines podcast, WPR’s editor-in-chief, Judah Grunstein, and senior editor, Frederick Deknatel, draw back the curtain on WPR’s editorial process to give an idea of how we select and develop the stories we cover. 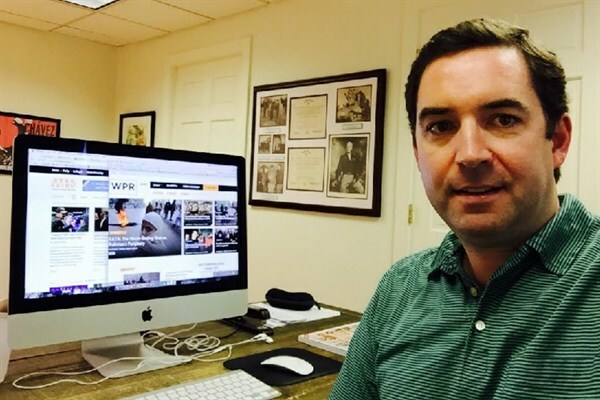 For the Report, Judah talks with WPR’s publisher, Hampton Stephens, about WPR’s evolution and how our business model is driven by our values and mission. Can Peru’s Kuczynski Overcome a Hostile Congress and Recapture Public Support?